Yay! It’s Scoop day – my fave day of the week when I get to see all of your awesomeness! Well…I had every intention of being able to show you my new kitchen backsplash this week, but a certain someone didn’t set her camera properly and almost all of the photos turned out black. So sadly, you’ll have to settle for a little sneak peek. Hopefully the gray skies will go away so that I can come back in a few days and show you the whole thing. In the meantime, I want to see what you’ve been up to! Our host this week is Debbie at Confessions of a Plate Addict. Hi everyone! Thanks so much for joining us each week to share your creativity and inspire us! After all, it wouldn’t be a party without our guests! I am excited because the end of the month marks the time for our Country French design group to share…and this time the theme is shelves! I am sharing a few tips for displaying collections and a closer look at some of mine so I hope you’ll head over and take a peek here. And…can you believe it’s less than two weeks until Valentine’s Day? I like to add a little of the holiday to my home and this time it’s farmhouse style! Some vintage ironstone and silverplate flatware plus a few handmade ticking and toile hearts add up to create my farmhouse Valentine centerpiece. We would love it if you would visit us here for a closer look! And now…here are just a few of the great ideas that were shared last week! It’s always so hard to choose! 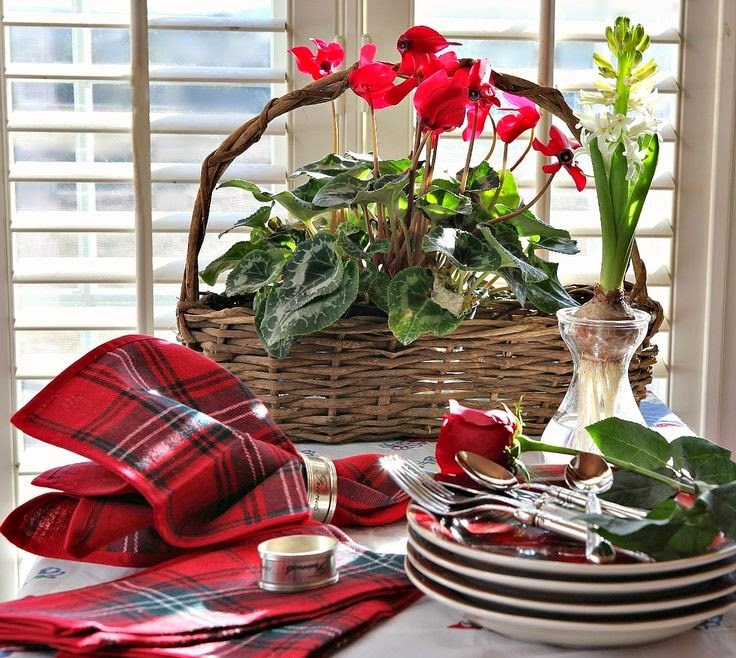 Michael Lee at Rattlebridge Farm shared her gorgeous tablescape in 50 shades of red…so appropriate for February! 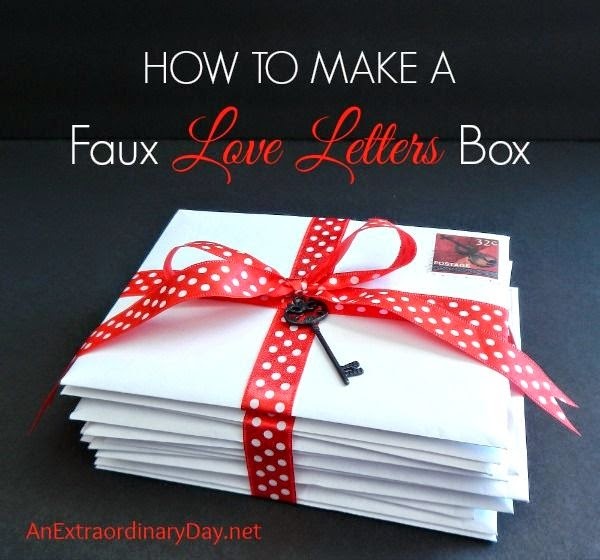 Diane at An Extraordinary Day showed us how to make a faux love letters box…perfect for giving a special treasure! 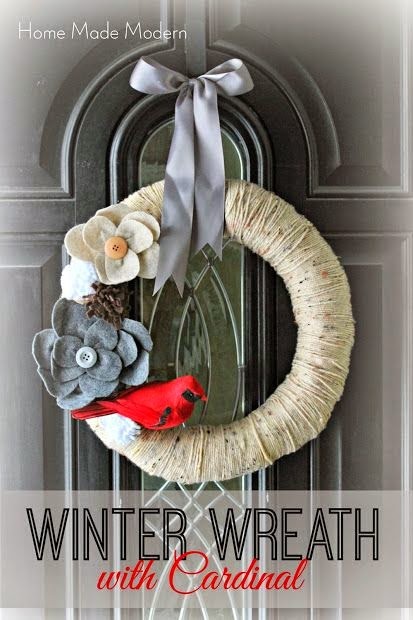 Add a cardinal to anything and I am in…so you know I love this winter wreath from Val at Home Made Modern! 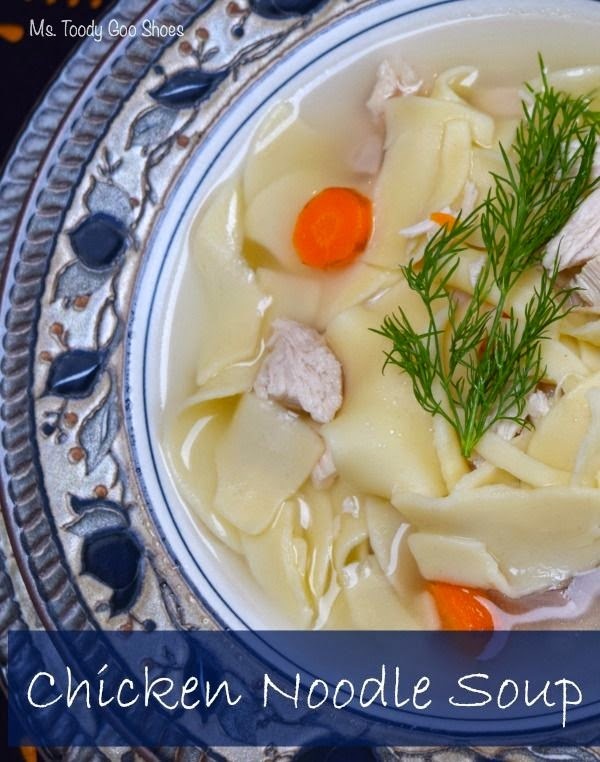 Nothing beats chilly weather or cures a cold like homemade chicken noodle soup! Amy at Mrs. Toody Goo Shoes (love that name!) shares her yummy recipe! 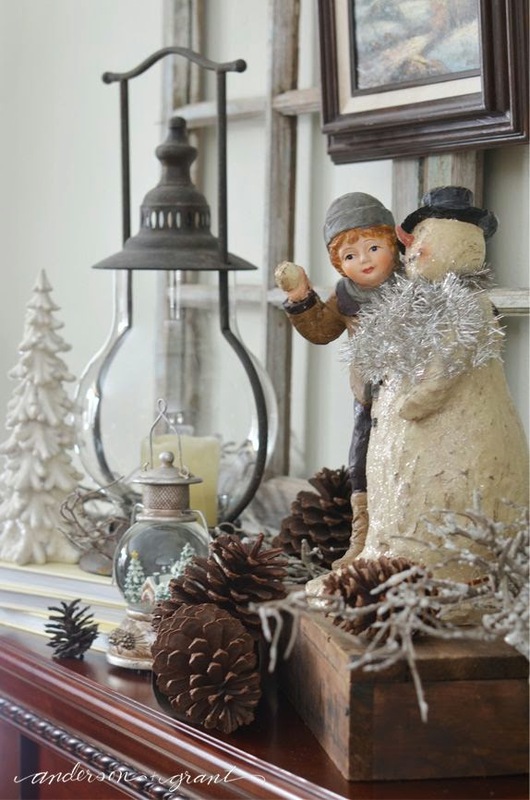 And finally, Jamie at Anderson + Grant shared her wonderful winter mantel…the perfect touch of rustic and cozy! Thanks so much for the party Suzy ! 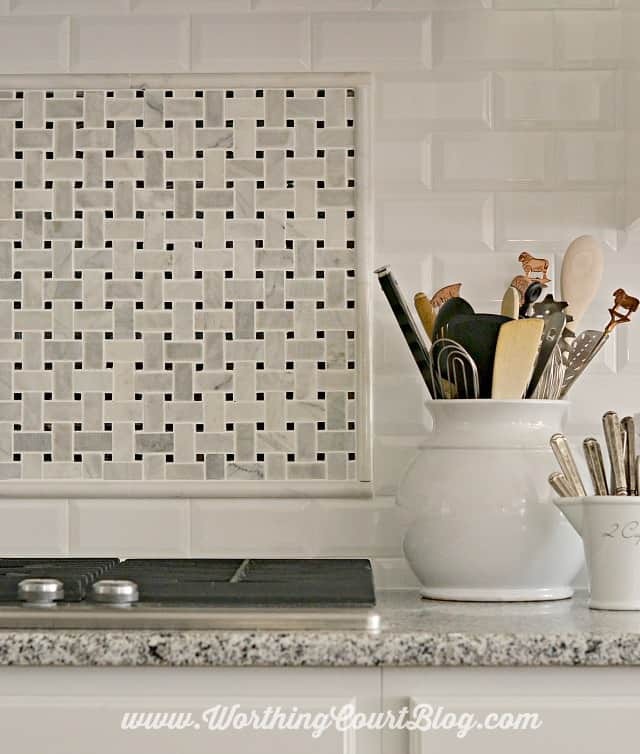 Your backsplash looks gorgeous !!! I am sooooo loving your new kitchen and cannot wait to see that backsplash!!! Thanks for hosting, my friend!